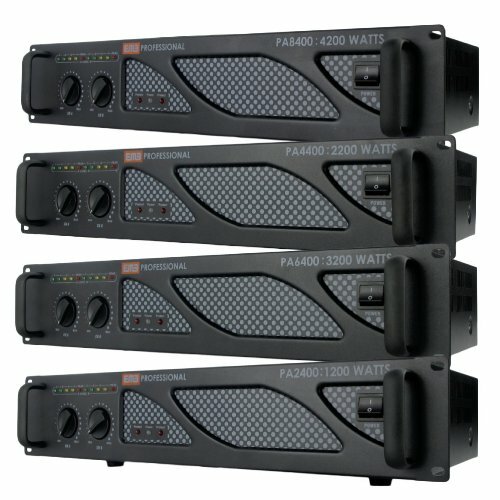 The EMB Professional PA-6400 power amplifier boasts a maximum output of 3200 Watts giving you more bang for your buck. The PA-6400 has can accept both ¼" and XLR input, and output can be either Speakon, or banana binding post. Single fan cooling with front to rear air flow. The front panel boasts separate output knobs, allowing you to have full control of each channel's volume. Front side power switch for easy operation, as well as separate indicator LED's for Power, Signal, Clip, and Protect.